People might love Sunday's ending of "Mad Men," or people might hate it. Either way, AMC president Charlie Collier promises this: "It will stick with people for a long time." Collier has already seen the finale, of course, but he's being careful not to give any hints about what happens in it. In an interview with CNNMoney, he said, "I think you'll see that the finale, just is as beautiful as you'd hope it would be." Matthew Weiner, the show's creator, will be screening the finale in Los Angeles with the cast, crew, and members of the public. In an interview with The New York Times, Weiner might have been managing expectations a bit when he said, "Ending a TV show is not a natural thing to do. Nobody's happy about it." Weiner -- who was a producer on HBO's "The Sopranos," with its famously ambiguous final scene -- also said this: "All I can tell you is that we're telling a story, this is the natural conclusion of the story." The episode will premiere on AMC Sunday at 10 p.m. Eastern time. When it's airing, the other channels owned by AMC's parent company (AMC Networks) will halt regular programming and redirect viewers over to "Mad Men." This is a very rare move. Media companies occasionally set up a "roadblock," meaning they'll show the same program at the same time on all the channels they own. 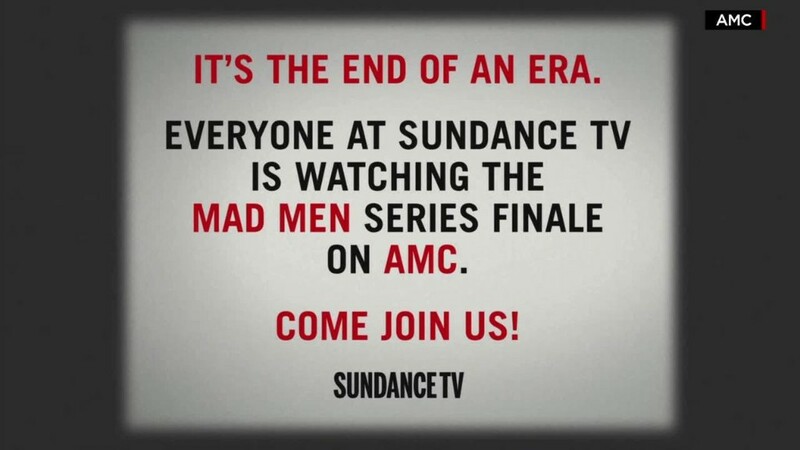 But AMC's other channels, Sundance, IFC, WE tv, BBC America, aren't doing that -- instead, they're putting up messages that say their staffs are watching "Mad Men" on AMC, so "come join us!" The graphical messages will include a nod to the season one finale of "Mad Men," the episode when Don Draper's ad agency names Kodak's slide projector the "Carousel." 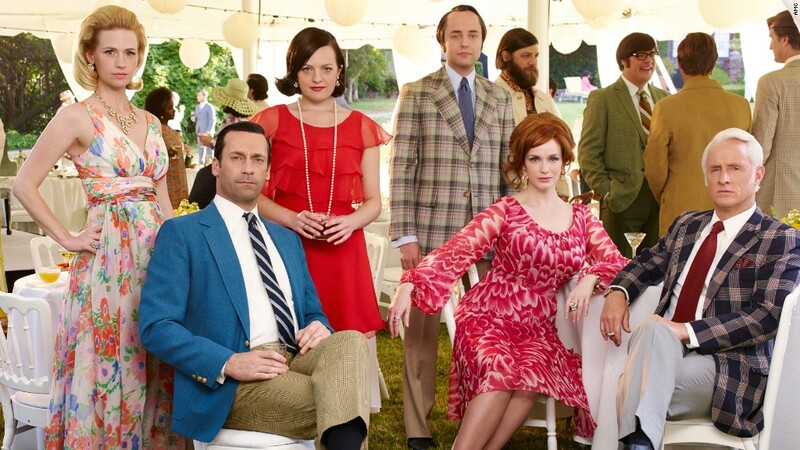 A batch of "Mad Men" photos will be projected onto the screen. When asked about a possible precedent for this, Collier said, "I remember a time during the Carson finale where Comedy Central said, 'You know what? That's what you should be watching.' And it was a moment. And you know what, that's what comedy lovers should have been watching." And on Sunday, he added, "we hope drama lovers will come to AMC." AMC has been deliberate about trying to elevate "Mad Men" into the "hall of fame," as Collier put it, alongside shows like "The Sopranos." There have been exhibits about the show at museums and public events with speakers like Weiner. After the finale, Weiner will hold another on-stage event, this time at the New York Public Library. "That will sort of be the decompression of it," he told the Times. "I don't anticipate people standing up front with pitchforks and hot tar or anything like that." Maybe the pitchforks will come out electronically, via Twitter and Facebook. But in the hours leading up to the finale, there have been mostly kind words about the series and its cultural impact. Alison Brie, one of the show's stars, tweeted about AMC's marathon of all the episodes, which started on Thursday, leading up to Sunday night's ending. "What an epic, incredible show," she wrote. "So proud to be a part of it."